April 2015 – Higher Purpose. Higher calling. As you drive down 12th Avenue South towards downtown Nashville, if you look to your right as you pass Edgehill road you will see an old building with a little sign outside that says Carter Lawrence Magnet School. I have driven past this building hundreds of times while driving down 12th Ave, in fact when Chris Klotz our Spiritual Formation director suggested we try and get Lipscomb Athletics plugged in there, I had no idea that was the school he was talking about. After realizing the school was only 3 miles down the road, it was a no-brainer to try and get our Lipscomb student-athletes involved with the kids there. 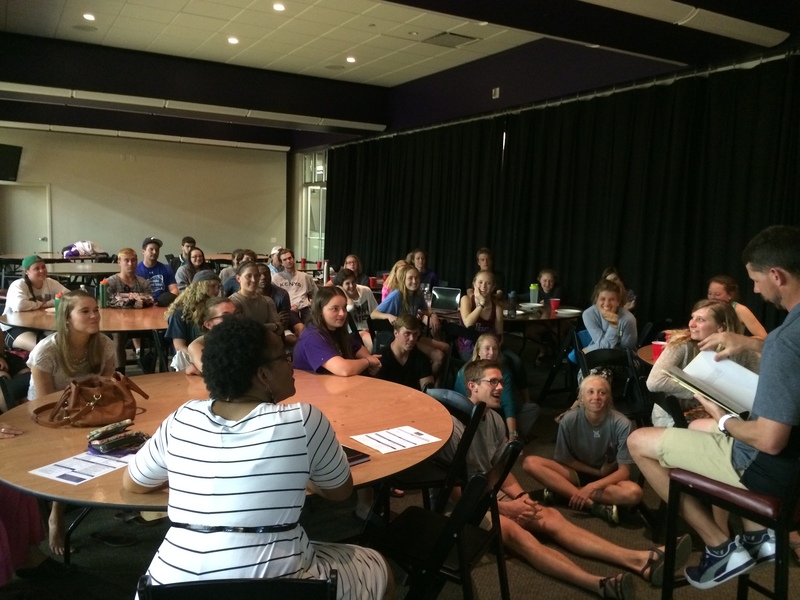 Within Lipscomb-Athletics Spiritual Formation, we believe we are called to love and serve people. The platform of sport is an incredible vehicle to travel into communities and serve the people that are there. Internationally we have traveled and met incredible people on sports missions, but locally we are also called, and have incredible neighbors. To serve, love, and build relationships with the children, schools, and families of our local community; and to encourage and provide an opportunity for our student-athletes to get outside of their Lipscomb “bubble” and have eyes for their neighboring communities. This provides the chance to be a role-model and encourage local kids who need inspiration and hope as much as children abroad. Carter Lawrence is a special opportunity because of it’s location to Lipscomb, and because it is s a magnet school with more of an intensive curriculum that provides a unique opportunity to reach kids that live in the inner city. After meeting with the school’s principal, and hearing what she saw as needs for the kids at her school, we decided on creating a character building program that is based around sports. The plan was to have one of our athletic teams attend an after school session every week beginning mid fall through out the rest of the school year. The team of student-athletes would use their sport and teach skills and play games with the kids, while also teaching a character quality or two that was easily relateable to the kids when they would serve that week. 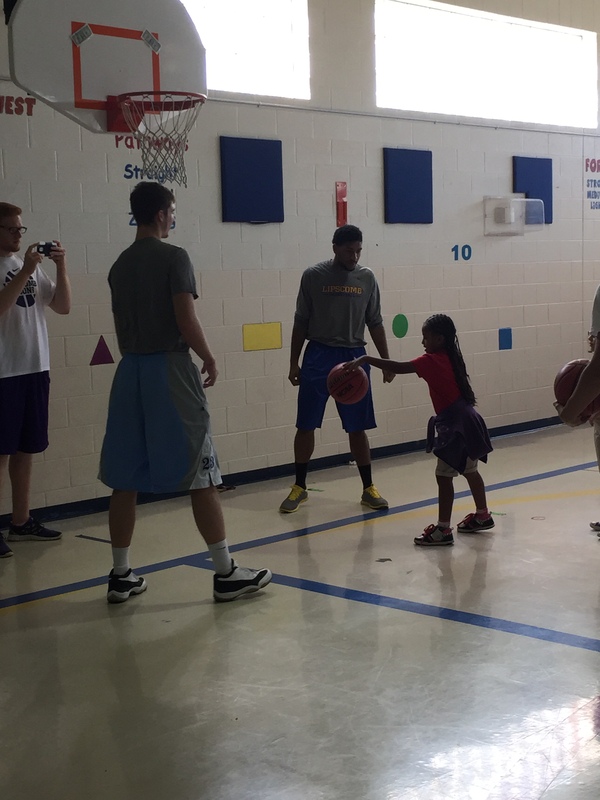 We would begin each outreach opportunity with the Lipscomb team of student-athletes introducing themselves and giving a fun fact or two about themselves, which allows the kids to get to know them a little bit better. 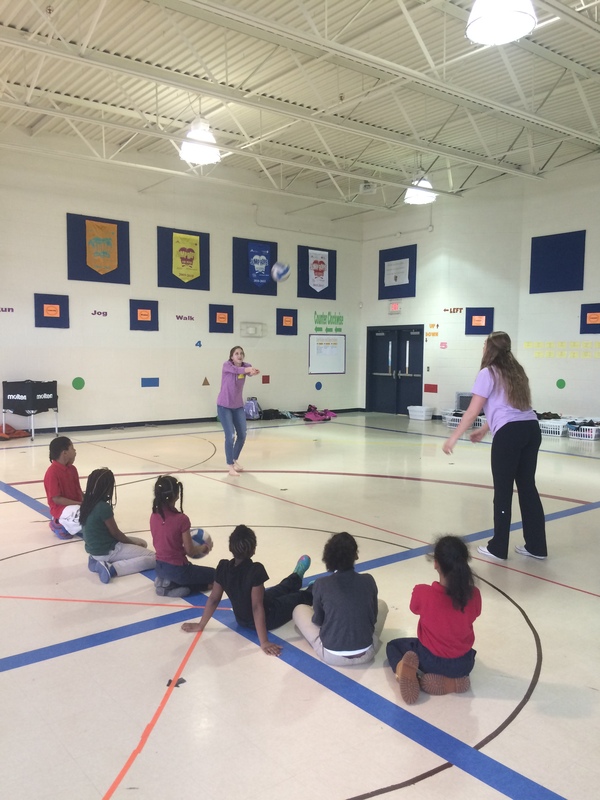 After introductions we would transition into the day’s activity, which could include splitting everyone into groups and rotating them through different sport clinics or play a big game with all the students, like kickball or dodgeball. 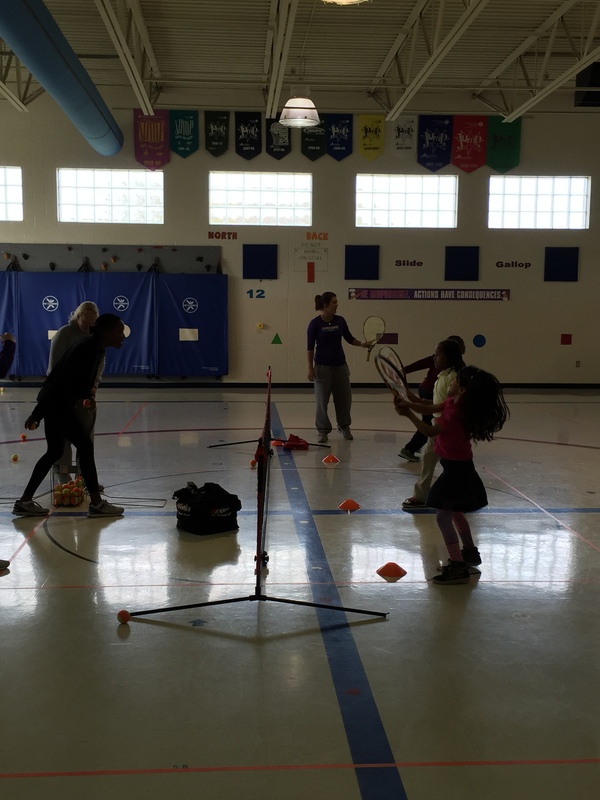 Throughout the activity and instruction time our student-athletes are reinforcing the character quality for the day and using the current experiences of the kids to be able to relate the quality back to what they are currently doing. For the last ten minutes of our time, we split the kids into small groups and have the Lipscomb athletes talk a little more in depth about the character quality that is highlighted for that day. This is the most important and impactful part of our time there. By splitting into smaller groups with the kids we were able to further remove some natural barriers, and connect to the kids’ lives and gain another perspective and have deeper understanding as to why these kids are incredible neighbors. From the time our student-athletes walked through the doors of Carter Lawrence the kids were glued to them and the athletes likewise. 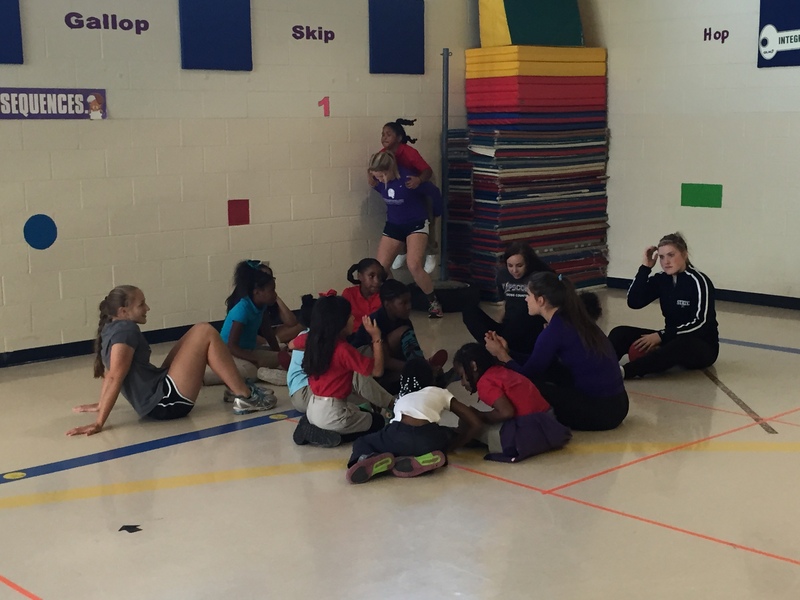 Whether it was getting on the shoulders of one our Lipscomb students or playing a quick game of tag; you could see the walls being broken down instantly and the “little kid” inside each student-athlete being brought out from the kids. During the activity time you could look around the gym and see the relationships being built. Sometimes it was pure chaos in the room, kids running around or dodge balls flying everywhere, but the socioeconomic walls were broken down. When the walls were broken down is when the real relationships were created. Whether it was talking about one of the kid’s favorite colors or learning about their families or anything in between. Athletes and kids were learning more about each other, which then moved into deeper conversations. The feedback that we have gotten from the teachers and administration at Carter Lawrence has been extremely positive. When talking with them, they have made it clear that one of the biggest needs for these kids is the presence of a positive role model within their lives. By bringing over our student-athletes, we were able to enter their world, and show the kids the importance of working hard in school and what that can lead too. We were also able to help reinforce some of the character qualities that the teachers at Carter Lawrence are trying to instill in their students. We realized soon after beginning this connection, that we were not only able to have an impact on the Carter Lawrence students, but also, on our student-athletes here at Lipscomb. The Lipscomb student-athletes time at Carter Lawrence opened their eyes to the fact that they don’t have to travel out of the country or across the globe to be a part of the mission field. They don’t have to look any farther than three miles down the road to a small elementary school on a corner that they may have passed by many of times, but never realized that their mission can start right here in our own backyard. After our time was over, we would bring the Lipscomb athletes together to be able to process what had just happened for the last hour. The first question out of their mouth was always, “when can we come back?” Others would ask more about the kids, their families, the community, or the school. It was always this theme of how did we not know about this place, and how can we keep coming here to hang out with these kids? Choosing to “love your neighbor” is often more about intentional effort to spend time with them. As you do, you realize you have great appreciation for them, and their names and faces become engrained on your heart. We look forward to continuing this partnership with Carter Lawrence, but even more- getting know our neighbors. This year we have been very intentional as a department regarding PRAYER. We know God is constantly at work in our lives, and to join in the movement through prayer has been an amazing journey. At the start of the year, we asked coaches, faculty, staff, community members and anyone willing to pray for our student-athletes to participate in a prayer campaign known as “555” . Prayer cards were distributed each containing 5 student-athletes names in which recipients of the cards were asked to pray for the 5 student athletes, 5 minutes a day, 5 days a week. The stories and testimony of God’s faithfulness have been overwhelming. Below is a short glimpse capture by our very own Steve Drabyn. Steve writes, “I have been blessed to be on staff as an Assistant Men’s Basketball Coach at Lipscomb University for almost two years. I have had the privilege to work with great people of faith here at Lipscomb, including Director of Spiritual Formation and Assistant Women’s Soccer Coach Chris Klotz. Chris developed prayer cards for our student athletes this past fall. As I’ve grown in my faith, prayer is something I have made an effort to improve upon as I have not always been proactive in my prayer life. I was excited to jump in and pick up a card to pray for 5 of our student-athletes for 5 days out of the week. One of the student-athletes I pray for is Woman’s Softball player Taylor Neuhart. Once I received my card, I looked up each athlete to find out more information about them. I also started following them on twitter, a social media outlet that I am most active on. I have enjoyed keeping up with these athletes and getting to know them. I was hoping that I would run into them on campus at some point. Thank you to the many people who pray for our athletes, coaches, competitions, and department daily. It is clear that God hears the prayers of His people and continues to work faithfully in each of our lives. Intentional Prayer will be a significant part of our athletic department moving forward, and if you would like to be involved in 555, please email Christopher Klotz at cpklotz@lipscomb.edu. 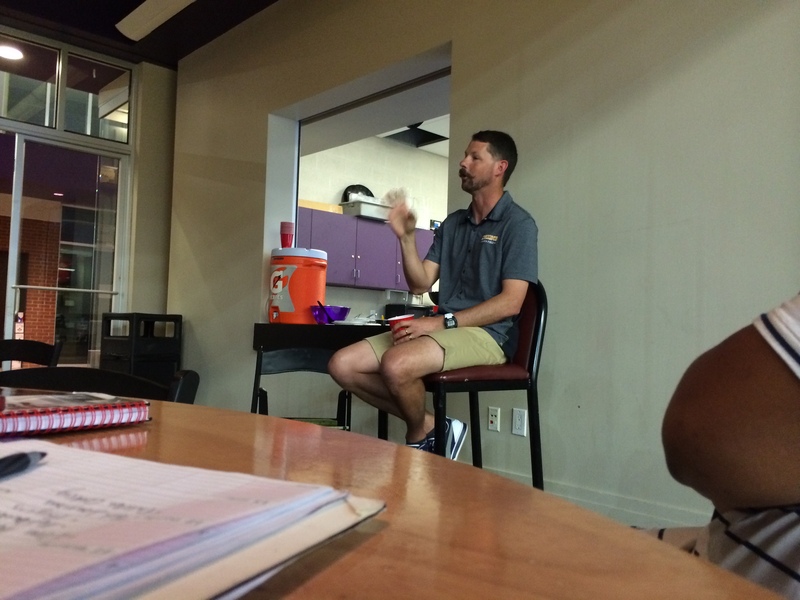 Last night, Coach Luke Syverson of the Lipscomb Track & Field team stayed on campus much later than usual. This time, however, it was not to coach jumpers and throwers. For one of the last FCA’s of the year, he stayed and shared his testimony to a room full of weary, but eager college athletes. Coach Syverson spoke straight to the heart of many college students struggling with less than ideal seasons, unexpected injuries, and seniors with no idea what comes next. From the other side of the turmoil, he confidently reassured us that we are in better hands than our own. The night ended with a first at Lipscomb FCA. He read the children’s Christian book, The Tale of Three Trees to sum up his thoughts. In this book, three trees on a mountaintop dream of becoming glamorous and mighty wooden objects. Although their dreams do not come true as planned, they wind up becoming something much greater and ultimately, objects that bring more glory to God. We were powerfully and humbly reminded that, while we still shoot for our dreams, things are going to be more than “okay” if our plans do not play out as we planned. Our steps are established by someone Whose plans are much greater than our own. Will you be willing to loosen your grip on your own plans? Again and again, I am blown away by the people that the Lord has brought to this community. Coach Syverson is one of many coaches who have invested in the lives of athletes beyond the sport. It is because of his faith in the Lord that he is able to coach the way he does. It is a true blessing to be surrounded by coaches, faculty, and staff who are interested in encouraging us as athletes and as Christians.